Enjoy the best inspirational, motivational, positive, funny and famous quotes by Andrew Sheng. Use words and picture quotations to push forward and inspire you keep going in life! 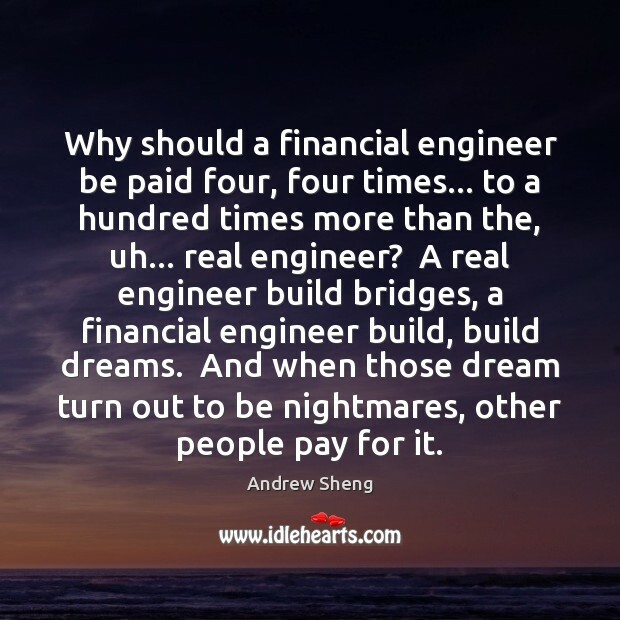 Why should a financial engineer be paid four, four times... to a hundred times more than the, uh... real engineer? A real engineer build bridges, a financial engineer build, build dreams. And when those dream turn out to be nightmares, other people pay for it.